A 32-year-old man was arrested by gardaí this morning in connection with the investigation. 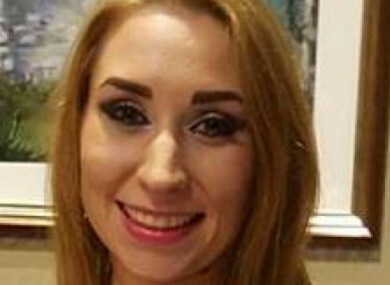 THE BODY DISCOVERED this morning by gardaí in Sligo has been formally identified as missing woman Natalia Karaczyn. Natalia had been missing from her home in Crozon Park, Sligo since Sunday morning. The office of the State Pathologist was notified when the body was found this morning and the Garda Technical Bureau attended the scene. A 32-year-old man was arrested by gardaí this morning in connection with the investigation. He is currently being detained at Ballymote Garda Station. Gardaí have appealed for information in relation to the movements of a beige Peugeot 308 estate car, with a partial registration number of 09 DL, on Sunday morning in the Sligo area. Anyone who can assist with the investigation has been asked to contact Sligo Garda Station on 071 915 7000, the Garda Confidential Line on 1800 666 111 or any garda station. Email “Body found in search for woman missing from Sligo formally identified as Natalia Karaczyn”. Feedback on “Body found in search for woman missing from Sligo formally identified as Natalia Karaczyn”.